As you can see when you arrive on our page, we have dynamically moving tiles with the latest news. We hope to update this regularly with the latest INOTE news, events in your area and local branch activities. We’ve divided this section into ‘INOTE Administration’, ‘First Year; ‘Junior Cycle’, ‘Transition Year’ and ‘Senior Cycle’. These sections contain resources such as syllabi from the DES, guides from the PDST and resources from JCT.ie. With framework documents and planning templates around the corner in First Year and Junior Cycle we hope you’ll find this area very convenient. Our INOTE Administration is where you’ll find the documents necessary to hold a branch meeting or event. INOTE is delighted to have Scoilnet integrated into our new site. We’re a small island but we have a big appetite for sharing knowledge. As a result, we felt we needed a resource sharing hub that would have long term capacity and security for the resources we would like to share. Having one central location to store all of our resources just makes sense. Using the Scoilnet search bar, top of this post and permanently on the site home screen, will populate a list from just the English resources on Scoilnet. Try it now before reading on! Othello, Larkin, Leaving Cert. Paper 1, you’ll be surprised at how much can already be found. We would encourage INOTE members to take a minute to sign up now for Scoilnet and over the coming weeks, months and years to share as much as you can. This is one of the most significant new features on our site. The new forums will be a safe place for teachers to share ideas and resources. You must be signed in to view the forums and the forums are blocked to members of the public. We’ve divided the forums into set topic areas. Members can request to have a new topic area created but we think we have you well covered. As a member, you can go into a topic area and create a thread. For example, if you wished to share a Google Docs or OneDrive link on Emily Dickinson’ s poetry: go to ‘Leaving Certificate Topics’. Create a Thread called ‘Dickinson Resource’ and post your link. You can favourite posts you like to easily return to them. Most importantly, the forums have their own search bars. As the forum develops and grows, we will create our own vast resource bank from the conversations we have had and resources we have shared. The search function means that in four, five, six years time a search that inserts ‘Dickinson’ will still find your original thread you created or remember taking part in. We hope you find the forums intuitive and easy to use. They have been designed that way. 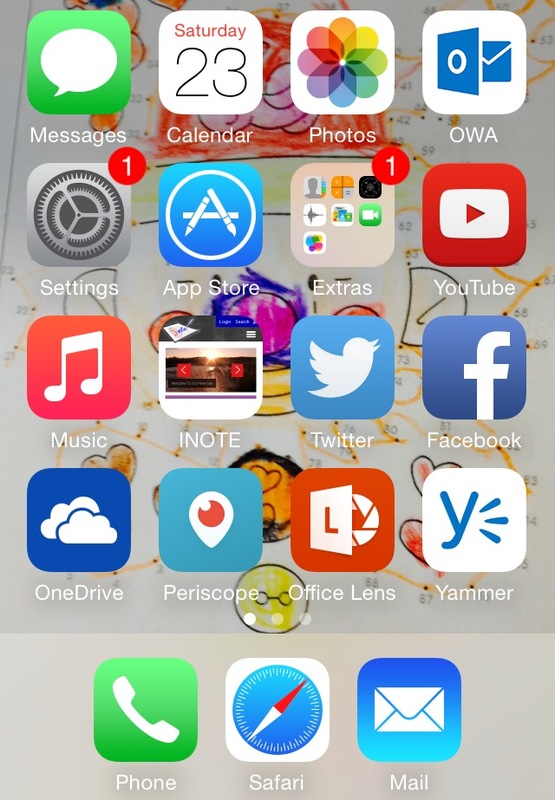 If you are using a smartphone or tablet you can set the INOTE website to your home screen (click picture). If you click the ‘keep me signed in’ button you will not have to repeatedly sign in. If you create a thread and somebody posts in it you will also receive a notification. The site has been specifically translated to work seamlessly on your smartphone and/or tablet. Once you have joined our site your name can be found in site members. Just as with the forums you must be signed in to view this list. You can use the search function to find a member you wish to talk with or find a convenient link to their website/blog.